How much do you want to make a song called “Shake Your Body?” A lot? Then you’d best get over to Burn-Studios, a new Flash-based sequencer that allows you to oots oots all day long using this wild browser based system for beat mixing. 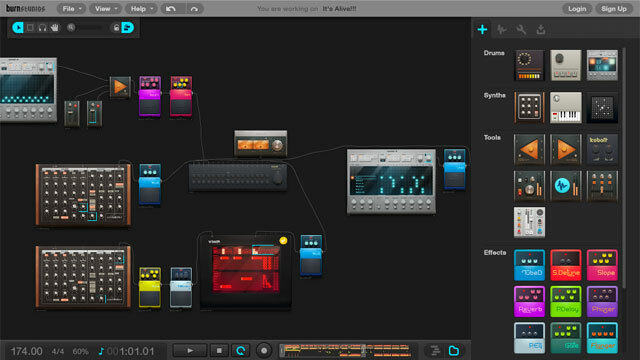 You can check out some super songs in the gallery or make your own music using baffles, drums, synths, and sequencers. I was able to make a horrible, horrible song in a few minutes so I’m sure someone out there in Internet land has already recreated Kind of Blue with a virtual 808 and a wah-wah pedal. Wonder why this exists? Well, Burn is basically an energy drink from Europe and they got together with an app designer to build the audio tool last year. Not a huge deal, but Richie Hawtin says he likes it (it gives ” wider group of people the opportunity to create electronic music”), so that has to count for something.